“Let’s play Mintonette!” If your friends said this to you, what would you think they meant? Is it a new game? A sport? A board game? Played indoors or outdoors? Or just a joke for them to laugh at your reaction? Volleyball was invented in 1895 by William G. Morgan. The sport was based on Morgan’s own training methods and practical experience in the YMCA Gymnasium. Now, it is professionally played by thousands and loved by millions of people around the world. 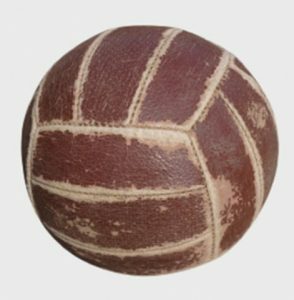 The game, which is played with a net and a ball, is now called volleyball. 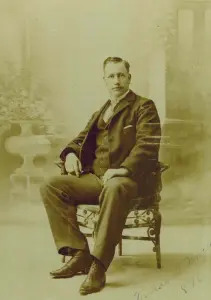 William G. Morgan carried out his undergraduate studies at the Young Men’s Christian Association (YMCA) where he met James Naismith who invented basketball. After graduating, he spent his first year at the Auburn (now known as Maine) and in the summer of 1895 moved to YMCA Holyoke (present-day Massachusetts). It is in Holyoke where he became the director of physical education. He had the opportunity to create and direct a vast program of exercises and sport classes for young men. His enthusiasm for his work and programs was greatly appreciated. One day, he decided that he needed a certain type of game that is both fun and challenging in order to vary his ongoing programs. During that time, basketball was the most popular sport but it was also the most violent game. Basketball at that time was in its infancy and rules were a bit blurry, to say the least. He wanted to create something that was both challenging and safe. It was a difficult process, since he did not have anything that he could pattern the game on. But then tennis came to mind. He liked the idea of the net but he rose it to about 6 feet and 6 inches or about 1.98 meters above the ground, just above the head of an average adult man. The next element to figure out was the ball. He started tests with a basketball bladder. Unfortunately, it was too light and too slow. The basketball itself was too big and too heavy which was not really suitable either. Dealing with this challenge, Morgan decided he needed help developing a special ball. He asked a firm called A.G. Spalding & Bros. to help him create the perfect ball, catered to the game criteria. They started experimenting in their factory in Chicopee, Massachusetts. They fined tuned it, and created a ball with a leather cover and a rubber inner tube. Its circumference was between 25 and 27 inches, and its weight between 9 and 12 ounces. With the help of his two good friends in Holyoke, Dr. Frank Wood and John Lynch, Morgan created the basic concepts and the first 10 rules of the game, originally called Mintonette and later changed to volleyball. The net had to be 6 feet and 6 inches high. Any number of participants was allowed. The length of the game was nine innings with three outs allowed per team, per inning. Continuous air dribbling of the ball was permissible up to a restraining line of 4 feet from the net. No limit on the number of hits on each side of the court. A served ball could be assisted across the net. A second serve (as in tennis) was permitted if the first resulted in a fault. Any ball hitting the net, except on the first service, was a fault and resulted in side out. The server had to stand with one foot placed on the back line. Word soon spread about his new game and everyone was eager to play or watch it. In 1896, a conference was held in Springfield at the YMCA College that brought together all the YMCA Directors of Physical Education including Dr. Luther Halsey Gulick. They invited William Morgan to demonstrate his game in the newly built college stadium. Morgan took two teams, with five players each. During the demonstration, Morgan explained that the new sport he designed was a fun and exciting game for adult men. It was designed for indoors play in a gymnasia but could also be played outdoors, which greatly interested his listeners. He also explained that it could be played by an unlimited number of players and the objective of the game is to keep the ball in movement over the net from one side to another. William Morgan was very proud of his invention. He was able to introduce it to the board of directors for inclusion in Physical Education. Mintonette was really a sport dedicated to providing some form of recreation and relaxation for men. But after seeing the demonstration of Mintonette, Professor Alfred T. Halstead called attention to the active phase of the ball’s flight and suggested that it should instead be called “Volley ball”. Morgan agreed with the name change. When the game was first introduced, it was still in the developmental phase but the physical education directors of the YMCA encouraged Springfield College in Massachusetts and George Williams College in Chicago to adopt volleyball across America. The game was widely accepted not only as a relaxing activity but also as recreational fun for everyone. Canada was the first foreign country to adopt the game in 1900. By 1913, volleyball was adopted on the Asian continent in a program of the Far-Eastern games which was organized in Manila, Philippines. 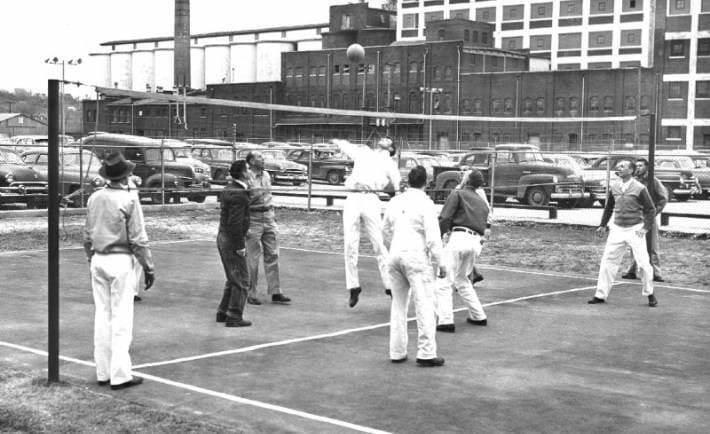 Volleyball has rapidly evolved over the past century. The sport started out as a relaxing recreational activity for adult men but it is now a fun and competitive sport for everyone to enjoy.